Do you know your rights? Knowing your rights can be useful for various reasons. 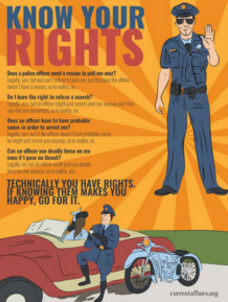 Our glossy 22x28 poster explains the rights you have.